Guest Post at What the Frock? I’m flattered to be guest blogging at What the Frock? today! Head on over to read my post, which highlights how to give your kitchen a fabulous makeover for under $100. My friend Dana’s blog is an amazing source of budget-friendly fashion tips, which makes this thrifty gal smile on a daily basis. 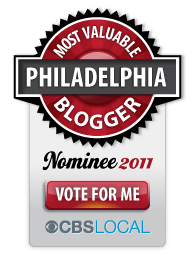 In other exciting news, there are only 3 more days to vote for me as “Most Valuable Philadelphia Blogger” at CBS Philly, so be sure to head on over there and show your support! 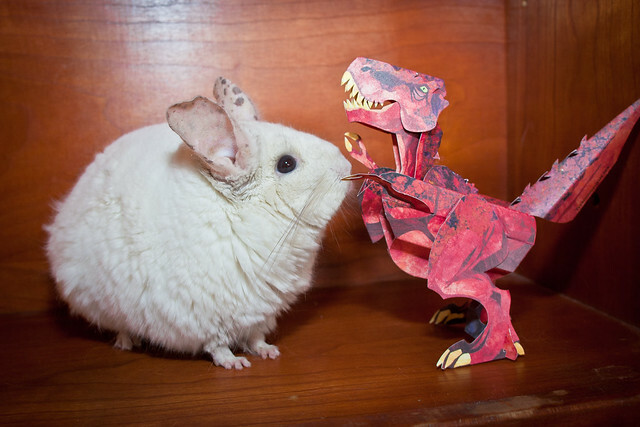 If I win, I promise to compile a celebratory post with a ton of cute critter photos, like the one below of our chinchilla Maude fighting off an angry t-rex. I realize nothing says desperate like bribing your readers with photos of bunnies and the like, but I am competitive, gosh darn it! Posted on September 6, 2011 Categories blogging, contest, friends, home projects, petsTags blogging, contest, fashion, guest blogging, guest post, What the Frock2 Comments on Guest Post at What the Frock?